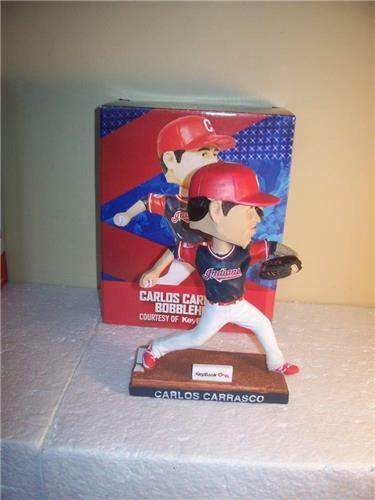 This Carlos Carrasco SGA bobblehead was given away by the Cleveland Indians in 2018. The only way to get these SGA (stadium giveaways) is to be at the game in that city they were given away at. Don't delay!